An annual parish event, the Pancake Supper, is an opportunity for some fun and fellowship (and pancakes) on the eve before the Season of Lent begins. Join us on Tuesday, March 5 at 5:30pm. Bring your appetite! $12 adult / $7 children ages 6-12; under age six is free. 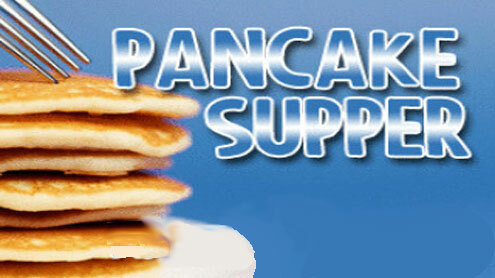 Receive a $2 discount on either if you bring a box of pancake mix or a bottle of syrup for our Food Pantry. Your non-perishable item (jelly, tuna, tooth paste, soap, shampoo, dog/cat food) will help stock our Food Pantry, and you will receive a discount on your entry price.